Cindy's homes sales have made her the #1 agent in Narberth since 2014 (TREND: 2014-2017), and her sales throughout the Main Line and Philadelphia have put her in the top 1% of BHHS agents nationwide! Phoebe duPont Harris joined BHHS and the Cindy Ridgway Real Estate Team in 2015. Prior to becoming a Realtor, Phoebe gained almost 10 years of residential interior design experience, first working for a firm in NYC and then on her own. She graduated from Denison University with a degree in Studio Art. Always with an eye for detail, she has become an expert at working with her clients: listening, understanding and fulfilling their residential needs. Phoebe and her husband moved to Narberth in 2005 and, except for a three year stint in NYC they have lived here with their two boys ever since. 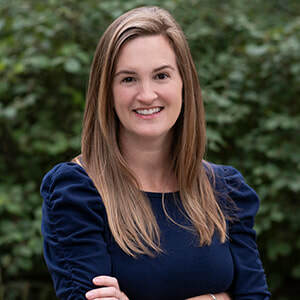 In addition to volunteering in her boys’ classrooms in the Lower Merion School District, Phoebe is active in several local organizations, serving as a past board member in both the Narbrook Park Improvement Association and Junior Women’s Community Club of Narberth. Having grown up in a similar small town in MD, she is ever thankful for the great schools, neighbors, and strong sense of community that can be found in Narberth and Lower Merion. Céline O'Neill has been an active member of the Narberth community since 2006. Before Narberth, she spent a short time in rural Georgia, and more than a decade in Manhattan. She studied journalism at St. Bonaventure University and proceeded to work in the fast paced Manhattan corporate worlds of advertising and leveraged buyouts. Céline is an active volunteer in her community, and currently serves as an executive member and secretary of the Junior Women’s Community Club of Narberth. She is a former president of the club, which plans community service projects and an annual Girls Night Out in October benefiting local charities.